When you live in a tiny home, finding enough space to store all your linens can be challenging. This is especially true if you live in a colder climate where extra bedding is a necessity or if you're the sort of person who likes to have guests on a regular basis! Of course, there's an easy solution to this problem: A dedicated linen closet. 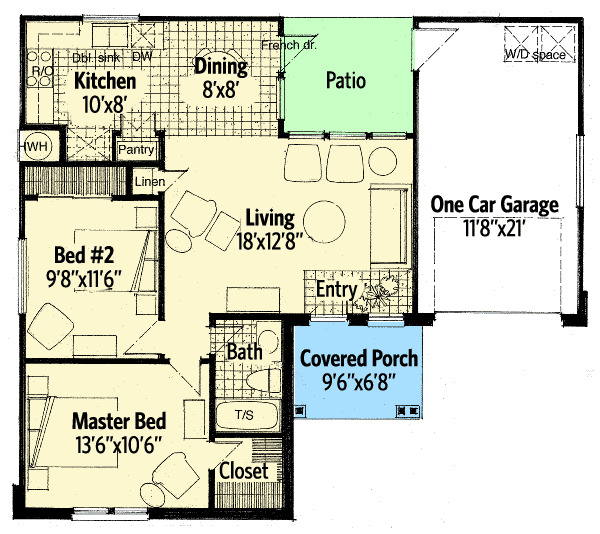 Having one can make a world of difference in how you organize your home, and as the following plans show, they're easy to incorporate into a tiny floor plan! 1. 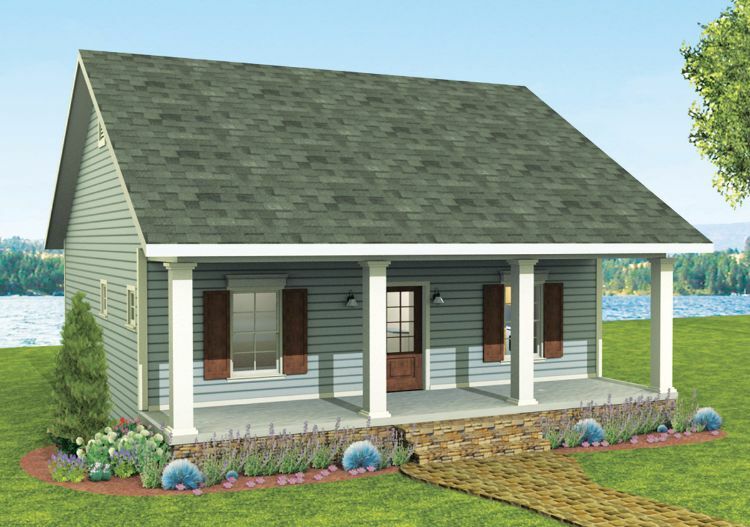 Two-bedroom home with stone siding from Architectural Designs. This charming home from Architectural Designs measures 854 square feet (79 square meters), not including the single garage on the right-hand side. A large living room is situated right inside the front door, and the dining room and kitchen are behind it on the left. The back patio can be reached through a French door in the dining room. 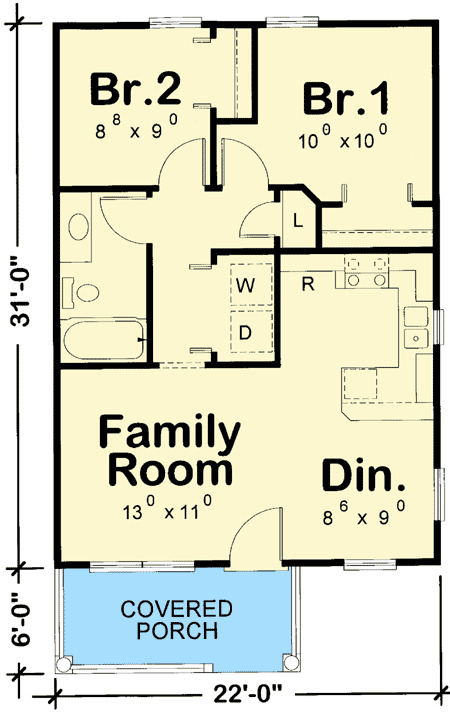 Two bedrooms and a bathroom with a tub complete the design; the master bedroom boasts a walk-in closet. 2. 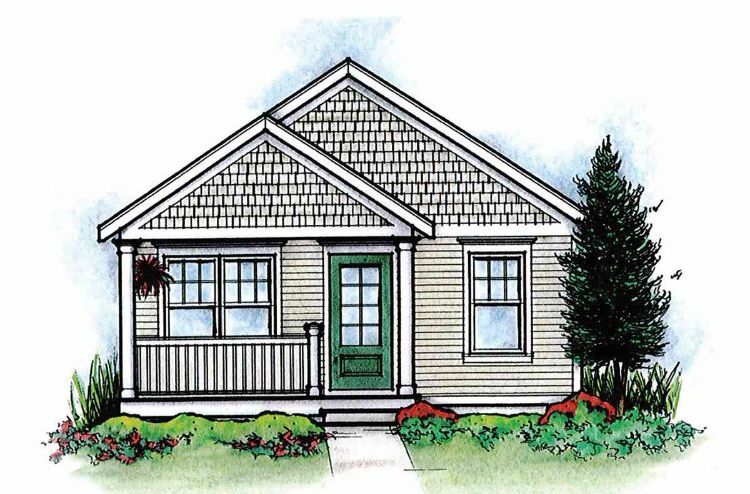 Charming bungalow from Floorplans. 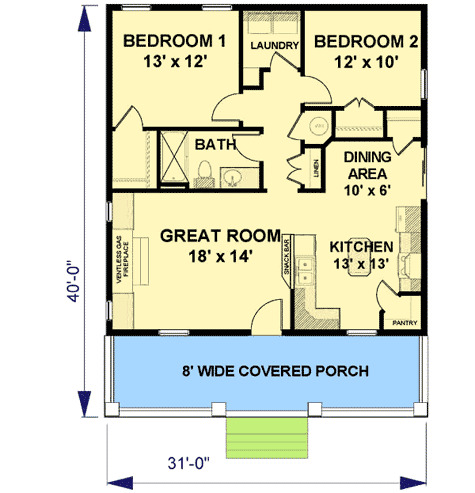 Measuring exactly 1,000 square feet (93 square meters), this home from Floorplans has two porches, two bedrooms, and two bathrooms. The front portion of the home is taken up by the living room, which features a cozy fireplace. The kitchen and breakfast area are directly behind the living room, and the back patio can be accessed via a door in the breakfast nook. The laundry room is on the left side of the breakfast nook, and the bedrooms and bathrooms can be found on the far left side of the home. 3. Country home with kitchen island from Architectural Designs. This charming home from Architectural Designs measures 992 square feet (92 square meters), and it features a large covered porch at the front. A great room with a large gas fireplace takes up the front left corner of the home, while the dining room and kitchen are off in the front right. A small hallway behind the great room leads to a bathroom with a tub, a linen closet, a laundry closet, and two bedrooms. 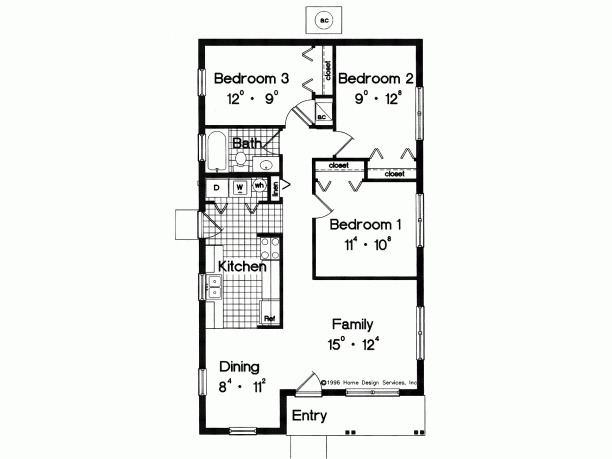 Both bedrooms boast large walk-in closets. 4. 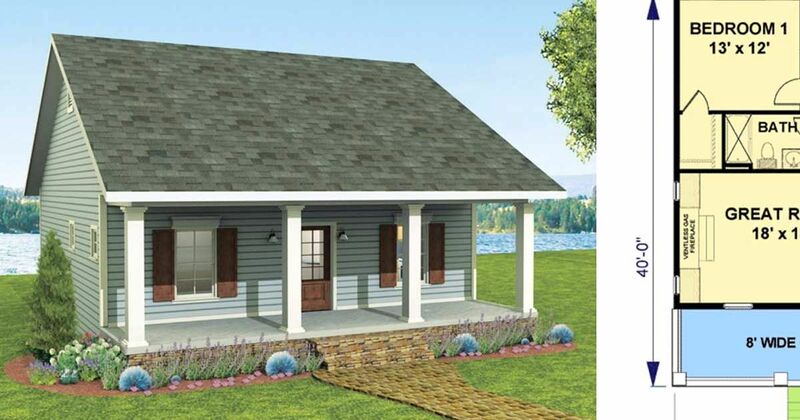 Cozy one bedroom cottage from Family Home Plans. 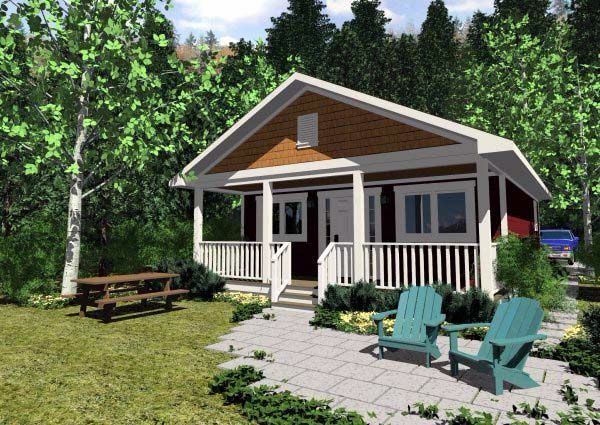 Coming in at 598 square feet (56 square meters), this design from Family Home Plans would be ideal for a couple. 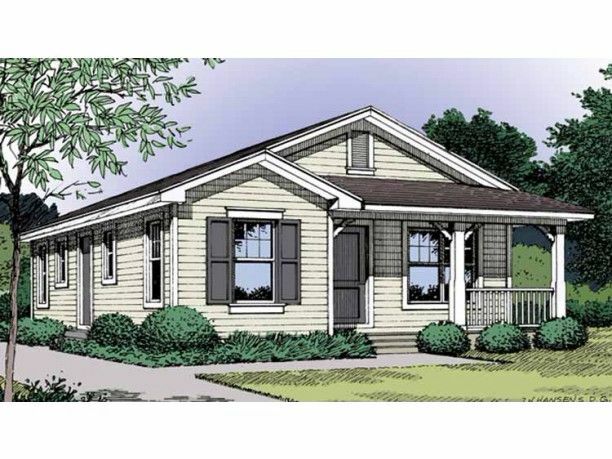 The front of the home boasts a large covered porch, and the front door opens right into the open concept living and dining room. A C-shaped kitchen is directly behind the dining room, and the linen closet is directly opposite. At the back of the home, you will find a bedroom, a mudroom that provides access to the backyard, and a bathroom with a tub. 5. 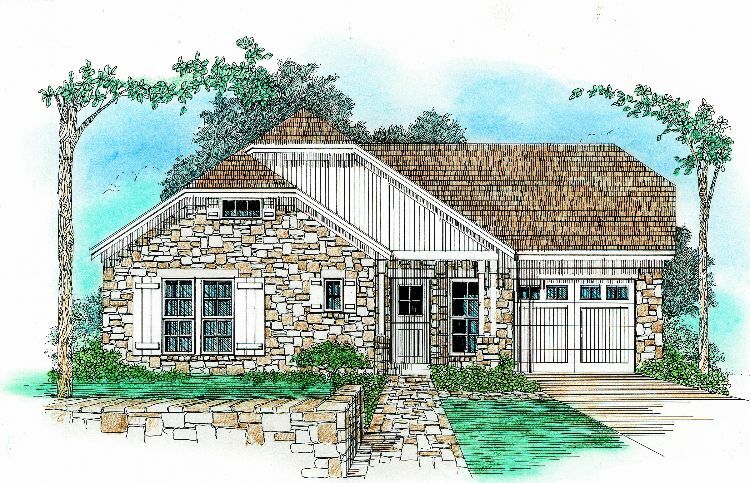 Traditional bungalow from Houseplans. 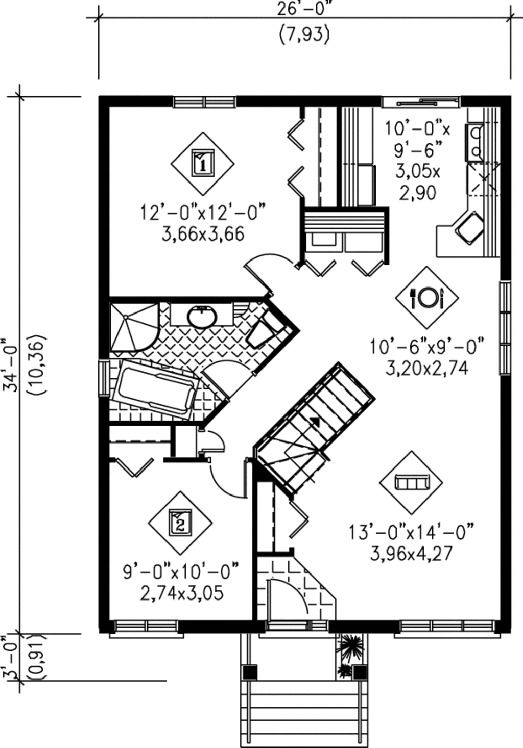 This lovely two bedroom design from Houseplans comes in at 884 square feet (82 square meters). A short flight of stairs leads up to the front door, which opens into a small tiled entryway. The living room is directly off to the right, and the dining room and kitchen are behind it. A hallway on the left leads to two bedrooms and a large bathroom that boasts both a shower and a tub. 6. 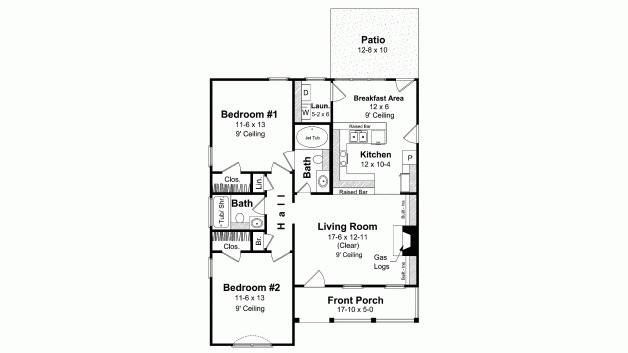 Three-bedroom prairie home from ePlans. 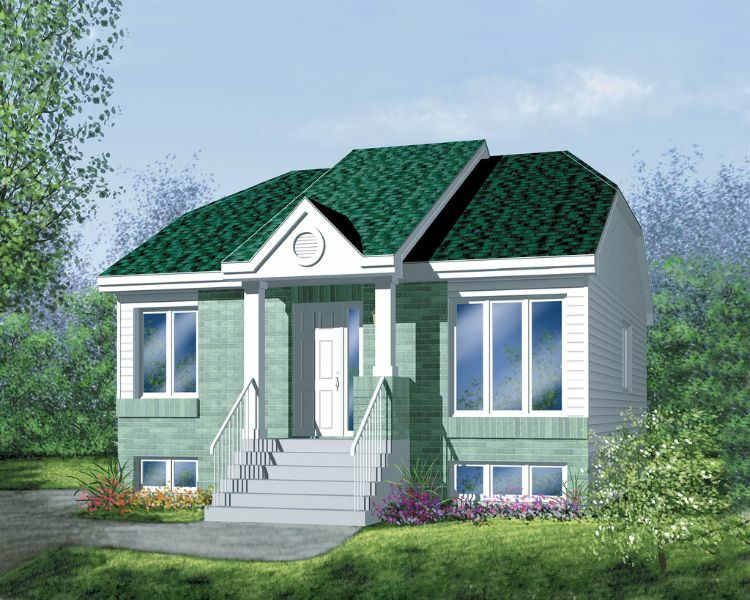 Measuring 996 square feet (93 square meters), this prairie home from ePlans boasts three bedrooms. The front door opens into the family room, and the dining room is off to the left. Directly behind the dining room is the kitchen, which includes a laundry closet at the back. 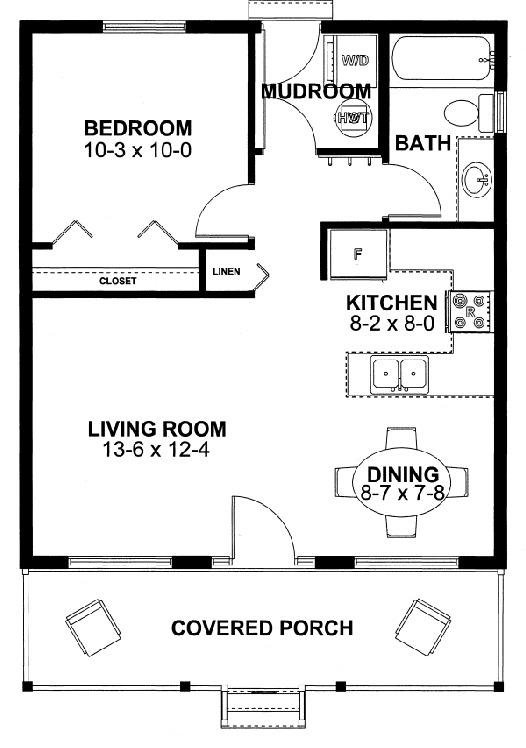 The rest of the home is taken up by the three bedrooms and a bathroom with a tub. 7. 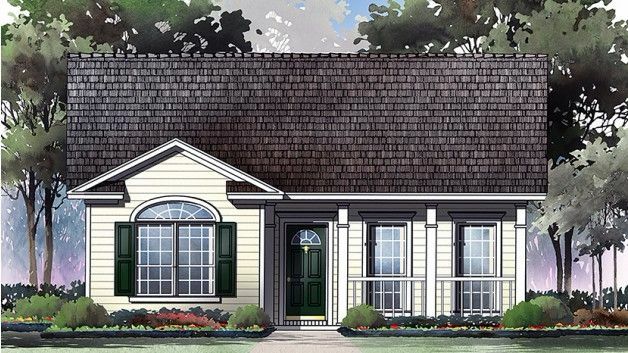 Two-bedroom country cottage from Architectural Designs. At 682 square feet (63 square meters), this two bedroom home from Architectural Designs is a good size for a family. A small covered porch sits at the front of the home, and the door here opens right into the open concept family and dining room. An efficient C-shaped kitchen sits right behind the dining room. At the back of the family room, there is a hallway that provides access to a laundry closet, a bathroom with a tub, two bedrooms, and the linen closet.